Ferplast is an Italian brand that has become the irrefutable market leader in the pet industry across the world. Known for developing products that are innovative that consumer and pet friendly and meet the requirements of every pet owner. Established in the year 1966 by Carlo Vaccari in Castelgomberto, Ferplast has over 2000 products under its repertoire. With a worldwide presence and appreciation, Ferplast has an experience of about 50 years in research and development of premium products that are durable and long lasting and safe for your pets. 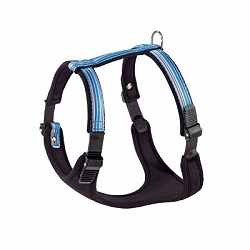 At present, Ferplast offers innovative products such as collars, leash, dog beds and pet carriers. With an input from pet experts, each product has been designed keeping in mind the utility that the product will offer and the overall comfort that the product will bring to the pet and the pet owner. The brand continues to develop products that meet the needs of not only dogs and cat but also of smaller pets such as rodents and reptiles.